I’m sure that people reading this blog know what this item is for. Yes, it’s a chasen, tea whisk. It is use to mix matcha powder and hot water in a tea bowl. But, do you know of any correct way of treating this utensil? 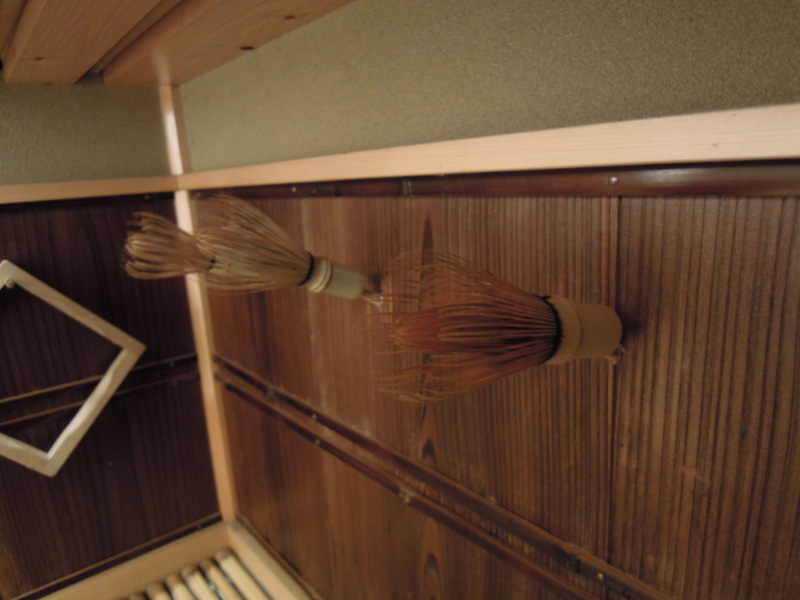 Which do you think is the right way of positioning the tea whisk among the three pictures above? The tines are fragile. Careless treating may shorten its lifespan. If you think from the aspect of safekeeping tines, you will naturally see the answer. Yes, the answer is “C”. 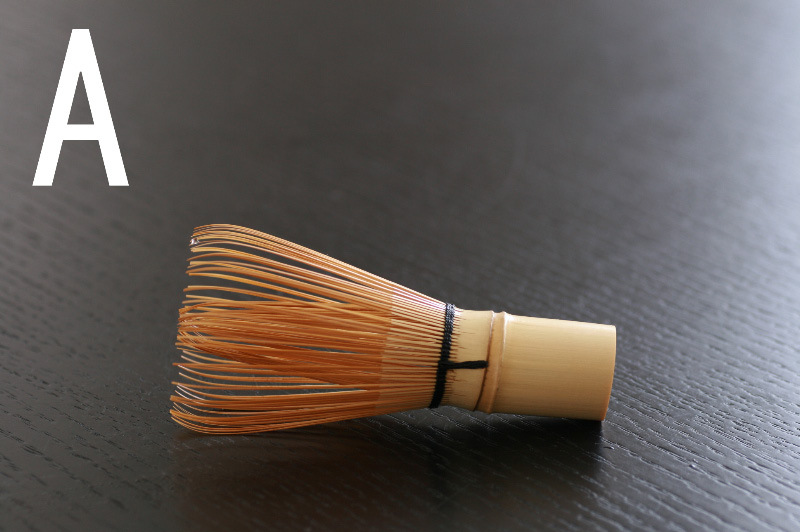 Tea whisk is usually kept standing upright, in a tea ceremony as well. Resting it on tines may damage them. 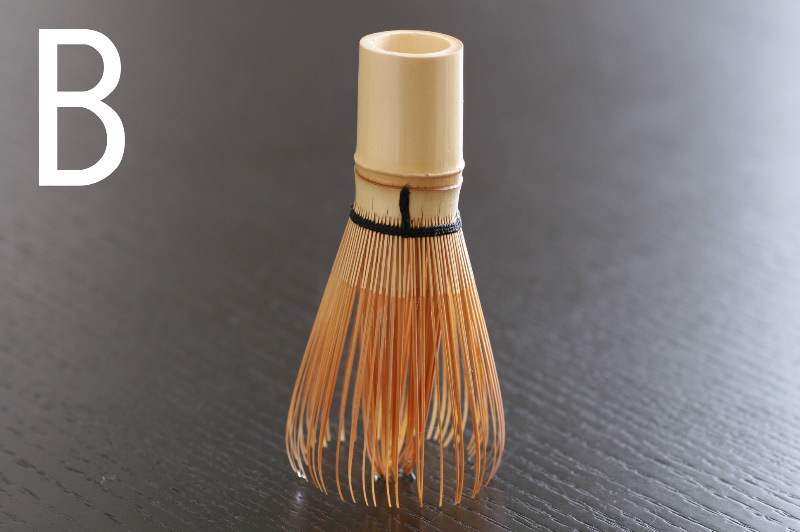 Another tip is leaving the tea whisk in water for about 30 min before each use, if possible. Soaking will make it more elastic, less likely to break, and of course just last longer. After use, wash it with water and air dry well to prevent molding. Keep it standing or hanging even in storing. Take a look at a picture below. 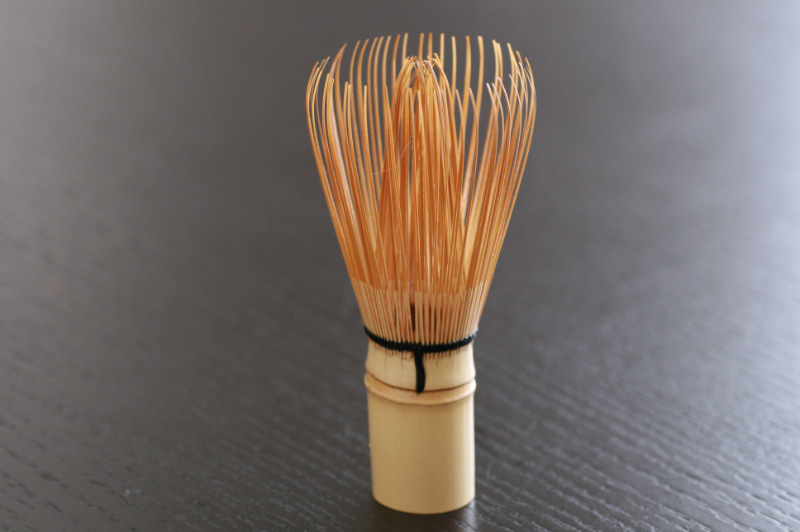 What can you observe about the tea whisks? It may not seem to be apparent on the picture, but in the tea preparation room, there is actually a straight-shaped hook where you can insert the tea whisk for storage. Sorry, i couldn't find your email so i use comment. Your blog is superb. This is the best blog about japanese tea(&culture)I've found so far. Im in love with all Japanese stuff. I love Japan as country, japanese culture and TEA and so. 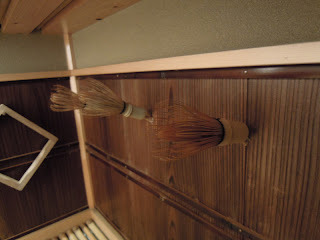 I've been to Japan(Shizuoka) once for two weeks. It was so charming be there. (I don't know why...i had to be japanese in past life..). 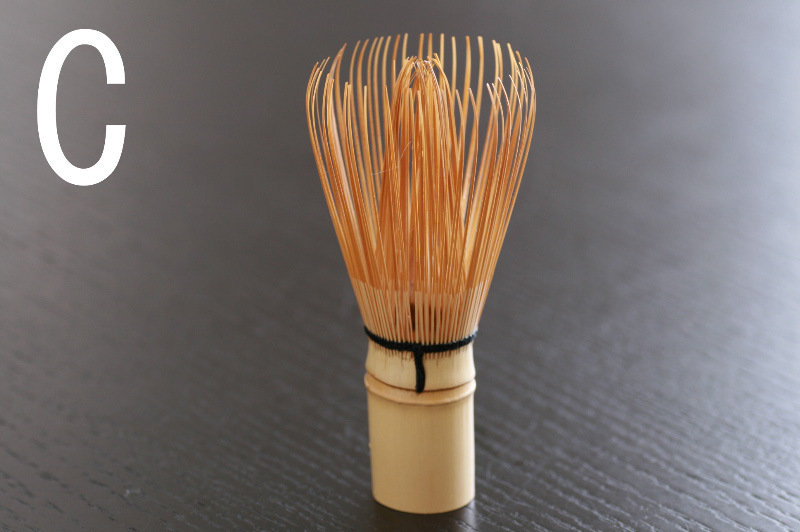 What do you think,some people advise to put it on a ceramic whisk stand after washing to get dry there,do you think this is better than hanging it or the same?And how long is an average life span of a quality, artisan made chasen? How long is the lifespan for chasens? Is there a point where you should dispose of it and get a new one? Hi, Miro-san, I’m really glad receiving a comment from someone who really loves Japan and our tea culture. I do have a ceramic whisk stand but I’m not using it actually. My tea master has some stands, and uses them for some of her tea whisks but not for all of her whisks. She says that it is better to use the stands if you have. Over time, the tines close and the shape of the whisk gets thinner. You can prevent the tine closing by using the stand, according my master. 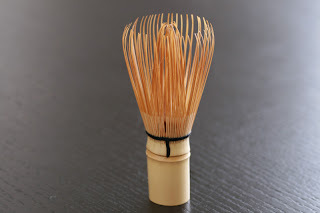 I’ll write about the lifespan of tea whisk on another entry in the near future. How long do tea whisks last?